Thanks to SharkDiver.com for bringing attention to this video on Youtube showing a boat charter in St. John, Virgin Islands catching, harassing, and killing a juvenile tiger shark. Having lived in and been diving the USVI (US Virgin Islands) and BVI for many years I can attest that sharks are just not part of the eco system in this Lesser Antilles chain as elsewhere in the world. Finding a juvenile Tiger shark (Galeocerdo cuvier) in these waters is an exceptional and rare event. Which makes the following video so sad to watch. This video comes just a few weeks after some fishermen in St. Croix were photographed killing a tiger shark to prevent it from killing (more) leatherback turtles. SharkDiver.com is right. This video is sad. 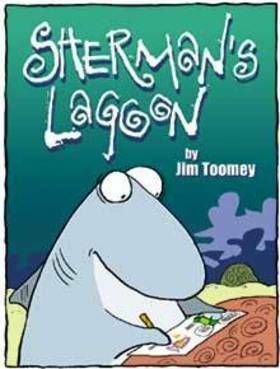 Those of us who know about shark biology understand that they are slow growing, slow to reach sexual maturity, and produce few young. Recreational killing of sharks is an unsustainable activity, never mind the arguments some would make about animal welfare. 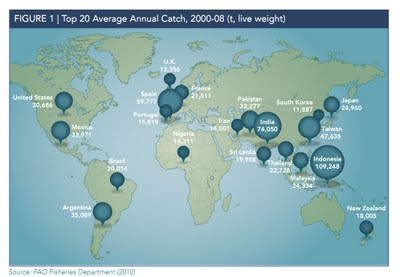 Catch and release would be more sustainable. 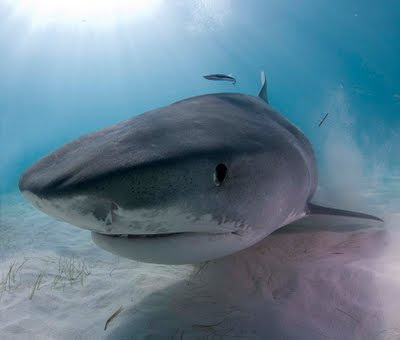 Tiger sharks are assessed as Near Threatened by the IUCN Red List of Threatened Species. However, it is important to note that they currently have no specific conservation or management measures in place, and are only protected in marine protected areas or in countries like Palau and the Maldives that have shark sanctuaries. 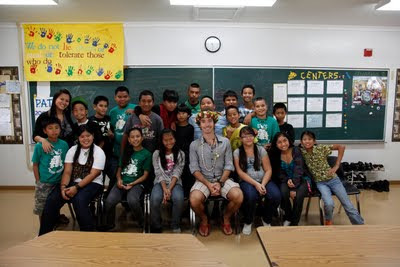 If you believe that charismatic species like the tiger shark deserve protection, you should do what the kids on Saipan and on Guam did, and lobby your local government to create shark sanctuaries and ban the possession, import, and export of shark. And if you want to help protect sharks across the globe, you can take the Shark Defenders Pledge and we'll let you know when your voice is needed. This year we've passed legislation in Saipan and Guam, and legislation is pending in Washington, Oregon, California, The Bahamas, and some others that we're not at liberty to divulge just yet. be are separate populations of each species. Both are large apex predators that are heavily exploited for the shark fin trade, which claims tens of millions of animals every year to produce the Asian delicacy, shark fin soup. Many of these species are declining as a result of this fishing pressure for their fins. 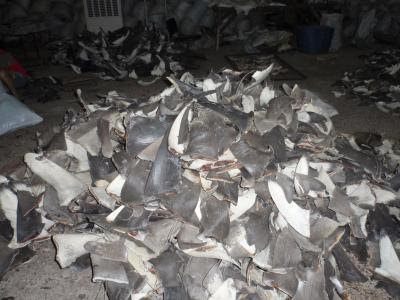 This is an assortment of dried shark fins in the process of being shipped from Fiji to Hong Kong. 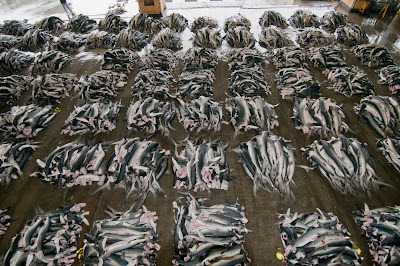 Tens of millions of fins are exported from nations around the globe to Asia, where they are used to make shark fin soup. Scientists have found that "zip codes" in the fin's DNA can reveal where the fin came from and thus contribute to improved shark conservation. ﻿﻿﻿﻿﻿﻿These research findings appear in two scientific articles. "Global phylogeography of the dusky shark, Carcharhinus obscurus: implications for fisheries management and monitoring the shark fin trade," has been published online in the journal Endangered Species Research. "Phylogeography of the copper shark (Carcharhinus brachyurus) in the southern hemisphere: implications for the conservation of a coastal apex predator" will soon be published in the journal Marine and Freshwater Research. The primary objective of these studies was to identify any genetic differences among regional groups of dusky and copper sharks and establish how many distinct populations there are. The second objective was to determine if these population differences were great enough to allow scientists to reconstruct their contributions to fin trade in the future. Like many large sharks, these species have a wide distribution around the globe but are tied to coastal areas for reproduction. "By analyzing part of the genome that is inherited solely through the mother, we were able to detect differences between sharks living along different continents – in effect, their DNA zip codes," said Dr. Demian Chapman, leader of the research team and assistant director of science of the Institute for Ocean Conservation Science. "This research shows that adult females faithfully give birth along the continental region where they were born. If fished too much, the population will collapse, and it is extremely unlikely that it will be replenished from immigration of sharks from another region." The dusky shark (Carcharhinus obscurus) is classified as "Endangered" in the Western Atlantic by the International Union for Conservation of Nature as its population is below 20 percent of what it was two decades ago. This is precisely what has happened along the U.S. Eastern Seaboard, where the once common dusky shark is now rare and a species of concern for listing under the Endangered Species Act. At one time, these animals were common in ocean waters off the United States; however, a recent stock assessment of the sharks along the U.S. East Coast and in the Gulf of Mexico showed an 80 percent decline even though they have been protected since 2000. The recovery of the species is extremely slow because the average age of maturity is 20 years, its reproductive cycle only occurs every three years – including a two-year pregnancy – and its litter size is relatively small (three to 14 offspring). "Here in the United States, it took only a few decades to nearly wipe out our dusky sharks, and it will probably take a few centuries for their stocks to be replenished," said Martin Benavides, lead author of both studies and research assistant at the Institute for Ocean Conservation Science. 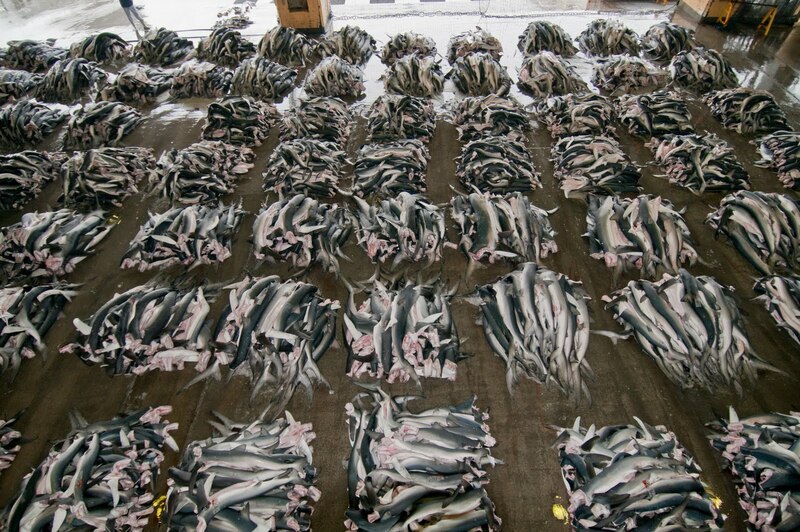 "Our results dash any hopes that dusky sharks from other areas of the world will replenish the depleted U.S. stock. 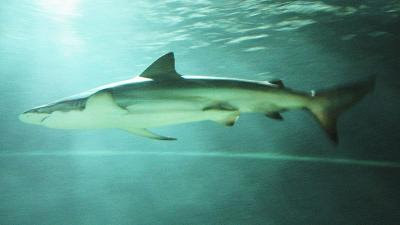 The sight of a dusky shark swimming off our shores will be a rare experience for generations to come." The copper or bronze whaler shark (Carcharhinus brachyurus) is a large, coastally oriented top predator that is vulnerable to overexploitation. "We know very little about the shark fin trade, but by using DNA-zip coding we can identify source populations that are contributing most to the trade, and prioritize them for management," added Dr. Chapman. 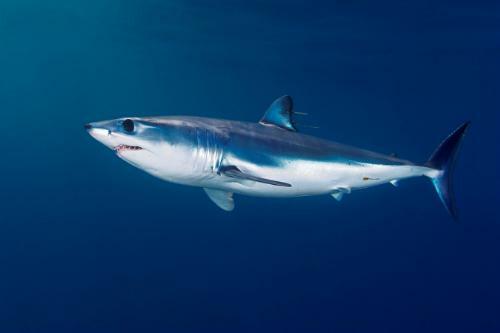 "We, therefore, really need to establish sampling programs of fins on their way to Asia or in the markets to regulate the global trade before many more populations suffer the fate of the dusky shark in the United States." For years, it was difficult to determine the origin of these fins and whether they were from threatened species. A study by Dr. Chapman, which was published in 2009 , used DNA testing to trace scalloped hammerhead shark fins from the Hong Kong market all the way back to the sharks' geographic origin and found many came from collapsed Western Atlantic populations. * These new research results demonstrate that this type of testing also can be used to trace the origins of the fins of dusky and copper sharks. "As apex predators at the top of marine food webs, it is essential for ocean health that we take steps, such as monitoring and regulating the fin trade, to protect these large sharks," said Dr. Ellen K. Pikitch, executive director of the Institute for Ocean Conservation Science. 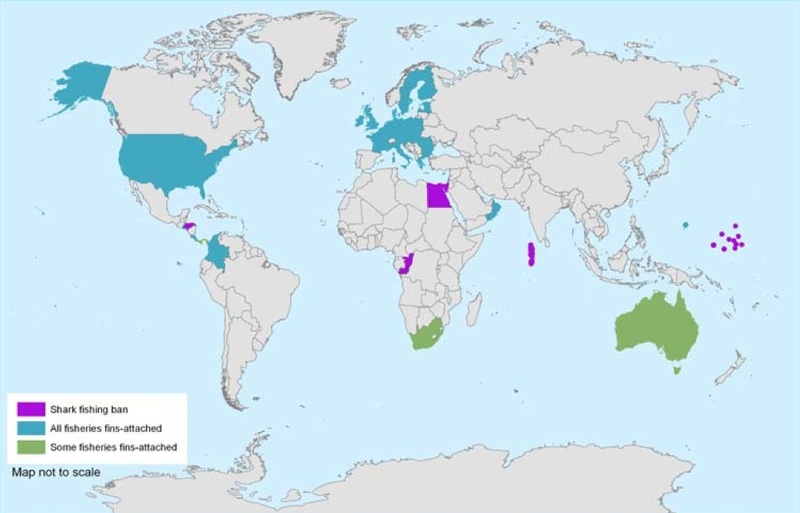 Both research projects were conducted by a collaborative international team of scientists from the United States, Australia, South America, Asia, New Zealand and southern Africa. 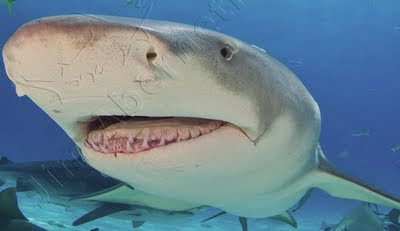 The scientists collectively analyzed part of the mitochondrial DNA in nearly 400 sharks sampled from all over the globe. This research was funded by The Pew Charitable Trusts through a grant to the Institute for Ocean Conservation Science at Stony Brook University. Sequence data were collected in the Field Museum's Pritzker Laboratory for Molecular Systematics and Evolution, operated with support from the Pritzker Foundation. Additional sequence data were collected at the Guy Harvey Research Institute with operational funds and a grant from the Save Our Seas Foundation. Funding was also provided by the Turner Fellowship Program and the Tinker Foundation. ﻿﻿Matt Rand, Director de la Campaña Global de Conservación de Tiburones Pew Environment Group, se refirió hoy en respuesta al favorable voto del Senado de Chile al proyecto de ley que por primera vez permitiría al país prohibir el aleteo de tiburones, requiriendo para ello que todos los tiburones capturados deben ser desembarcados con sus aletas naturalmente adheridas, es decir descargando el animal completo y no solo partes de él. Ahora se espera que la Cámara de Diputados comience su discusión en los próximos días. “Con este voto, el Senado permite terminar con esta derrochadora práctica de aletear tiburones. Una vez que el Congreso haya aprobado el proyecto de ley y se convierta en ley, esta prohibición tendrá un importante efecto sobre la vida marina mucho más allá del cono sur de Sudamérica”. “Unos 73 millones de tiburones son muertos alrededor del mundo principalmente para extraer sus aletas, las cuales son comúnmente consumidas en Asia en sopas de aletas. Los tiburones poseen un crecimiento muy lento, una madurez sexual tardía y producen pocas crías durante su larga vida. Esta forma completamente insustentable de pesca, está llevando a los tiburones a su desaparición en todo el mundo y con ello produciendo un gran desbalance en los océanos del mundo”. The Chilean Senate passed Chile’s first-ever ban on shark finning today, requiring that ships catching sharks have to land them with their fins naturally attached (meaning that the shark’s whole body must be taken to port). The bill now heads to the Chamber of Deputies; they are expected to begin consideration of the bill in a few weeks. Short of a shark sanctuary, a fins naturally attached policy is one of the strongest policies a nation can enact to prevent the wasteful and unsustainable practice of shark finning. As the map from Oceana cleary indicates, very few nations have a fins naturally attached policy, or shark sanctuaries for that matter. 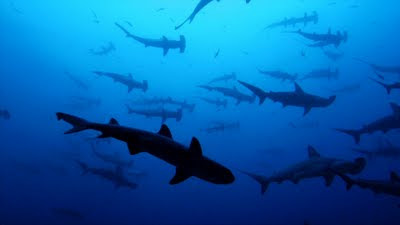 Once passed, Chile would become a regional and international leader in shark conservation and management. Pew Environment Group has photos from the Chilean Senate and the story in English posted to their website. After a long and arduous process of blood typing, insurance verification and wetsuit fittings, Discovery Channel today announced the appointment of its first ever Chief Shark Officer (CSO), Andy Samberg. As CSO, Samberg will host the network's 24th annual SHARK WEEK celebration, cable's longest running programming event and the official mark of summer. He will film on-air wraps for the weeklong event, host a SHARK WEEK special and may even take the plunge and dive with the apex predators. 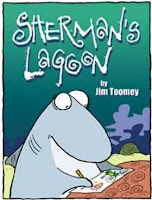 "SHARK WEEK is a summertime celebration. It's about being scared out of your swim trunks but it's also about being entertained and learning something new. Andy Samberg, an incredibly talented comedian and innovator, is the perfect person to bring those elements together and represent Discovery for our biggest week of the year," said Discovery Channel President and General Manager Clark Bunting. Said Samberg: "I'm overjoyed about being appointed CSO. Everyone loves Shark Week. It's the Bill Cosby of week-long television blocks dedicated to sea animals. Sharks are in trouble globally, and there are few locations where healthy shark populations still exist. In The Bahamas, a 20 year-old ban on longline fishing gear has left its waters as one of the few places in the world with relatively healthy shark populations. This has paid off for the small island nation. According to The Bahamas Diving Association, diving tourism has contributed up to $800 million to the Bahamian economy since the longline ban. There are, however, no laws there that specifically protect sharks. Pew is currently working with The Bahamas National Trust to gain permanent protections in all of The Bahamas' Exclusive Economic Zone, an area encompassing approximately 630,000 square kilometers of ocean. By establishing comprehensive protections for sharks, not only will sharks be permanently safeguarded against other threats, but the health of the marine environment and the economy of The Bahamas will be conserved for generations to come. This public service announcement was produced by The Bahamas National Trust (BNT), in collaboration with Pew Environment Group, in support of a grassroots petition to protect sharks in Bahamian waters. Sharks are in trouble globally, and there are few locations where healthy shark populations still exist. In The Bahamas, a 20 year-old ban on longline fishing gear has left its waters as one of the few places in the world with relatively healthy shark populations. This has paid off for the small island nation. According to The Bahamas Diving Association, diving tourism has contributed up to $800 million to the Bahamian economy since the longline ban. There are, however, no laws there that specifically protect sharks. Pew is currently working with The Bahamas National Trust to gain permanent protections in all of The Bahamas' Exclusive Economic Zone, an area encompassing approximately 630,000 square kilometers of ocean. By establishing comprehensive protections for sharks, not only will sharks be permanently safeguarded against other threats, but the health of the marine environment and the economy of The Bahamas will be conserved for generations to come. KOROR — The Palau government said Friday it was reconsidering its agreement to have the conservation group Sea Shepherd patrol its waters after receiving a counter offer from Japan. President Johnson Toribiong did not identify who was in the Japanese delegation but said they were of "ministerial level" and they described the conservation group as "terrorists". He said the Japanese had offered to send their own patrol vessel, adding: "I am weighing things now. 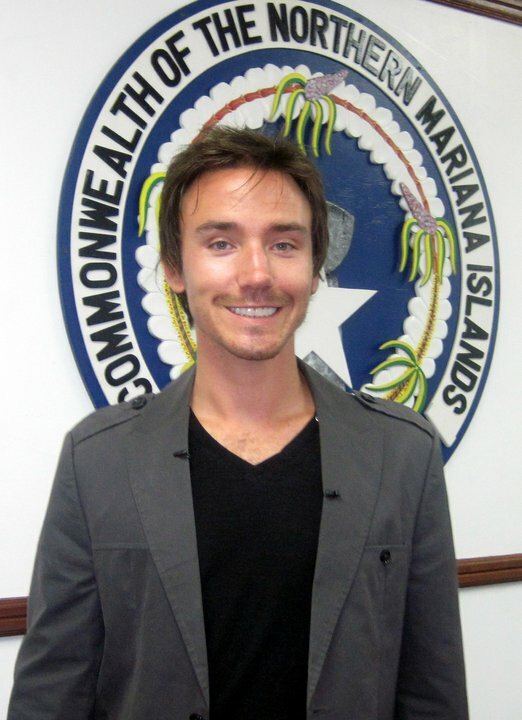 I want to make sure I get potential diplomatic issues resolved." The US-based Sea Shepherd Conservation Society has regularly clashed with Japanese whalers and this year forced them to cut short their annual Antarctic hunt. A Memorandum of Understanding signed in Palau last month authorised Sea Shepherd to patrol the Palau marine area designated as the world?s first shark sanctuary. Under the deal, "Sea Shepherd will, at its sole expense, send a vessel to patrol Palau?s territorial waters against illegal fishing activity", the conservation group said on its website. 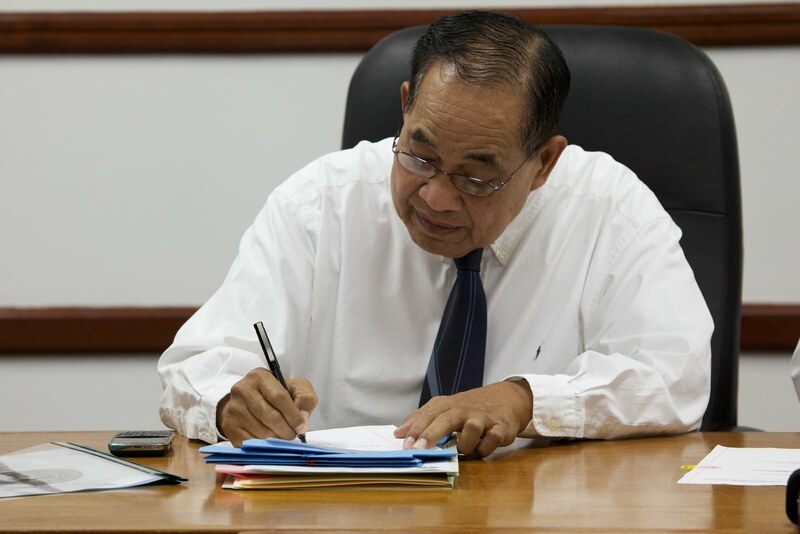 Toribiong said although an agreement had been signed, it was not final until reviewed by the Attorney General's Office. In 2009, Palau declared the world's first shark sanctuary, banning shark fishing in its exclusive economic zone, which covers almost 630,000 square kilometres (240,000 square miles) of the northern Pacific. The New England Aquarium in Boston is opening the East Coast's largest touch tank tomorrow. The $1.5 million addition will hold 80 cownose rays and several small sharks (I think they are bamboo catsharks from the looks of this video). They’re surprisingly velvety to the touch, slightly scary by reputation, imbued with natural curiosity, and mesmerizing to watch swim around — and around, and around — their tropical-themed habitat. Already drawing oohs and aahs from New England Aquarium members allowed access to the exhibit, the inhabitants of the new Trust Family Foundation Shark and Ray Touch Tank, which will open to the general public Friday, clearly possess star potential. “Visitors are more sophisticated now. They want to be able to enter that aquatic world,’’ said aquarium official Jim Duffy, who helped design the $1.5 million exhibit. While this attraction will bring millions of people face to face with sharks and rays, nothing beats seeing the real thing in the wild. Shark Defenders supports the creation of shark sanctuaries, places where shark fishing is not allowed and the sale, possession, and trade of sharks and shark parts is banned. Officials from the Pew Environment Group were in Valparaiso this week to present to the Senate fisheries commission and meet with the presidents of the Senate and Chamber of Deputies as well as other government officials in support of a Senate bill that would end the practice of shark finning in Chilean waters. The Pew delegation discussed pending legislation mandating that sharks can only be brought into Chilean ports with their fins naturally attached to their bodies. The Chamber of Deputies will consider the bill once it clears the Senate. "Shark finning—the practice of catching a shark, removing its fins and tossing the carcass overboard—is one of the most wasteful fishing practices ever known," said Matt Rand, director of shark conservation for the Pew Environment Group. "The Humboldt Current provides Chile with one of the richest marine environments in the world, but the ocean does not provide endless numbers of sharks." "Finning is taking a tremendous toll on sharks around the globe," said Maximiliano Bello, senior adviser to the Pew Environment Group. "These animals grow slowly, mature late and produce few young over their lifetimes, leaving them exceptionally vulnerable to overfishing and finning. With an estimated 53 shark species found in Chilean waters, we need to protect these important animals before it is too late." Chile has the world's seventh most productive fishing fleet, harvesting 3.6 million metric tonnes of seafood in 2008, according to the United Nations Food and Agriculture Organization. 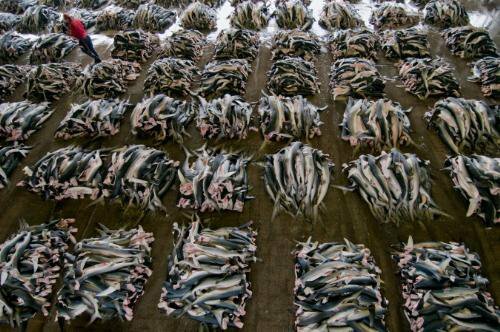 That year alone, the country exported 36 metric tonnes of dried and frozen shark fins to Hong Kong, the world's primary importer. 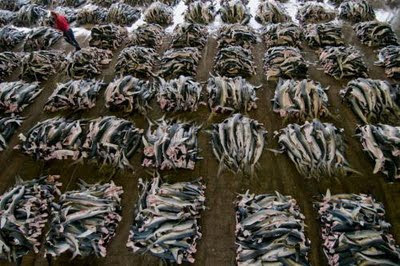 Worldwide, up to 73 million sharks are killed every year primarily for their fins, which are valued for their use in shark fin soup, an Asian delicacy. As a result, 30 percent of the world's species are threatened or near-threatened with extinction. For an additional 47 percent of species, scientists lack sufficient data to properly assess their population status. The Pew Environment Group is the conservation arm of The Pew Charitable Trusts, a non-governmental organization that works globally to establish pragmatic, science-based policies that protect our oceans, preserve our wildlands and promote clean energy. 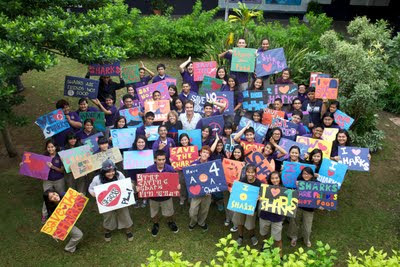 www.PewSharks.org.